Pine Ridge Estates enjoys a combination that no other neighborhood in Naples can boast about – big lot size and great location. By Naples standards, the properties are HUGE. 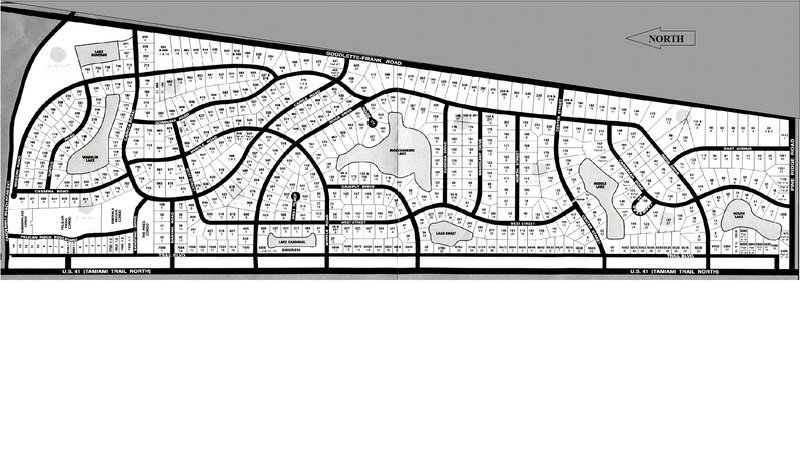 All of the lots are at least an acre with many in the 1.5 to 1.75 acre range. Oversized lots are typically 2 to 3 acres. The smallest lot in Pine Ridge is twice to four times as big as the properties in other upscales neighborhoods like Port Royal, Park Shore, Moorings or Coquina Sands…….at a fraction of the land cost. As you would expect with such big properties in an established community, the landscaping is lush and mature. Feel free to build as big a home as you please and still have plenty of green space, open yard and elbow room. With large lot sizes, you will recognize that everything has a pleasing proportion regardless of the size of the homes. By comparison with the trend in neighborhoods west of 41 maximizing the footprint with 10′ setbacks from the side boundaries, you have generous space between you and your neighbor. If size matters to you, Pine Ridge is the one and only neighborhood with large lots that are this close in to the action and near beaches. Nowhere in Naples does it get more pet friendly. There are no restrictions in the community and some of the properties bordering Goodlette-Frank Road are zoned such that you could have horses or other animals. Need a llama in your backyard? No problem. Speaking of horses, there is an equestrian center along the east side of the community. Check out NaplesEquestrianChallenge.org, too. The trio of public schools is top notch with Seagate Elementary School, Pine Ridge Middle School and Barron Collier High School. Respected private schools are close by, too. There are several lakes within the community offering waterfront properties. Some select homes and building sites have long water views. Homeowners have even created their own “beachfront” properties by bringing in beach sand, planting coconut palms and setting up a hammock to have their own backyard paradise oasis. The streets are quiet and meander through the community. It feels like home. There are no architectural restrictions so this is the place for your dream home. Nobody is telling you what you can and can’t do. No two homes are the same. From a real estate investment perspective, Pine Ridge is a great place to park your money. Value and a tremendous upside for appreciation going forward. Interested in Properties for Sale in Pine Ridge Estates? As full time real estate professionals, we represent both buyers and sellers in Naples. If you are a seller, we market your home to local, national and international buyers for the best results. If you are a buyer, we listen well and will find your own “Piece of Paradise” at the best negotiated price that fits your budget.